What is Drug Testing and How Does It Work? 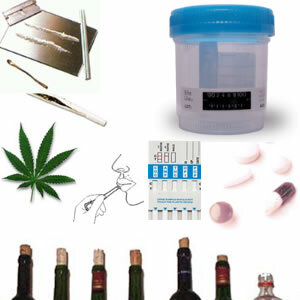 Drug testing is a way to evaluate the type and possibly the amount of legal or illegal drugs taken by a person. How is a drug test performed? Drug testing can be performed from small samples taken of your fingernails, saliva, or more commonly, your blood, urine, or hair. For a blood sample, a small amount of blood is taken from a vein in your arm or hand and is then sent to the laboratory for analysis. For a urine sample, you will be asked to urinate into a clean container provided to you. In som e instances, you may need to provide your urine sample in the presence of a nurse or technician to make sure that the sample did indeed come from you. For a hair sample, a few strands of hair taken from your head are sent to the laboratory for analysis. What is the purpose of a drug test? This test is commonly used to check for illegal drug use by employees (before an offer of employment is made and randomly at any time after hire). A drug test can also be used to evaluate possible accidental or intentional overdose or poisonings, to monitor compliance with a drug rehabilitation program, and to determine the presence or absence of drugs for medical and or legal purposes. No special preparations are necessary. Drug testing is often performed as an emergency test, on a random basis, or can be a scheduled test (for example, to meet ongoing employment requirements). Depending on the circumstances of the testing, you may be asked to identify medications or supplements that you are taking. You should bring in your prescription bottles for documentation. Are drug testing home kits available? Yes. There are kits that can test urine and hair samples in the privacy of your own home. The accuracy of some of these products is variable. They generally are less sensitive than the formal laboratory analyses. This means that a home test could be negative, but a laboratory test could be positive. Do insurance companies cover drug testing? Generally no, unless this is part of a drug or alcohol rehabilitation program. When conducted or required by your employer, there should be no cost to you.